Lock in a great price for Ann Siang House – rated 9 by recent guests! Rooms decorated to a high standard, comfy beds. Location was absolutely brilliant, close to everywhere and accessible with MRT. Staff were very helpful. Loved the touch with the google phone for guest use- means we could use maps and look things up while we were out without paying roaming fees on our own phones. Staff, particularly Kimberly, were exceptionally helpful and friendly. The location was great, just a few minutes walk to Chinatown and metro. The location is a dream! Close to Maxwell Food centre for breakfast and lunch and also many drinking places at night! The staff (both day and night shifts) were extremely friendly and helpful. Rooms and decor was very unique and rustic. One of the best experiences. The decor, fuss-free check-in, front desk staff are incredibly friendly and helpful, the free bar snacks and fruits, the body products are organic (although bottles doesn't state ingredients), and the easy walking access to restaurants in the area. Love how the windows can be opened to let the morning air in too (esp since the A/C is centralised, and can't be switched off). Rooms are big for SG standards. Would check out the suite next time! The staff are delightful. The room is very well fitted out and comfortable, lovely bathroom. Brilliant use of space providing a tiny kitchen even with pasta provided plus nespresso coffee. The breakfast room is small but fine for a quick snack from the well thought-out selection of good quality ingredients and products. The room was a good size, the bed very comfortable and the bathroom clean and with good shower etc. Good location, close to China ?Town, nice surrounding. Breakfast small but tasty. Ann Siang House This rating is a reflection of how the property compares to the industry standard when it comes to price, facilities and services available. It's based on a self-evaluation by the property. Use this rating to help choose your stay! Restored from a heritage shop house in Telok Ayer, Ann Siang House offers accommodations within the culturally-vibrant heart of Singapore. Guests can enjoy meals at the in-house restaurant. Free WiFi is available throughout the property. 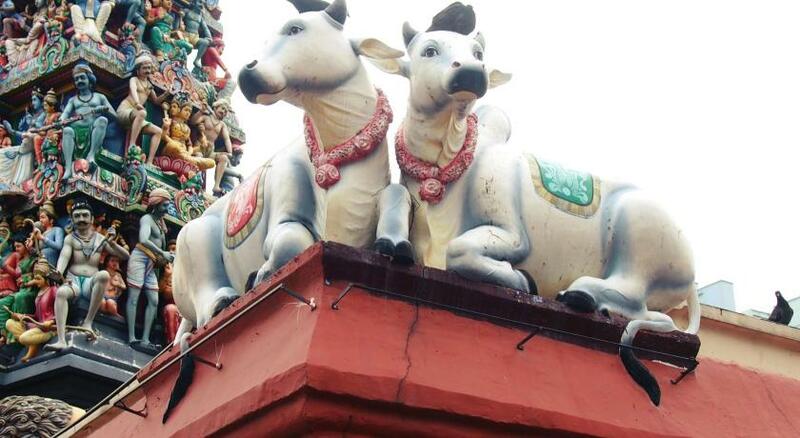 It is 700 feet to Buddha Tooth Relic Temple and Museum, while Sri Mariamman Temple is 950 feet from the property. Chinatown Heritage Center and Telok Ayer MRT Station are 1,650 feet away. 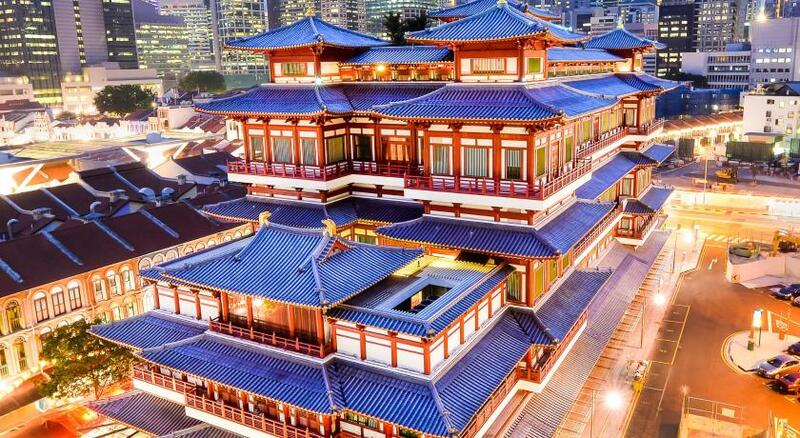 Lau Pa Sat is 2,150 feet from Ann Siang House. Changi International Airport is 13 mi away. Decorated in cool tones and gold fixtures, rooms are fitted with a flat-screen Smart TV, a Tivoli Bluetooth speaker and a complimentary mini-bar. It has a kitchenette equipped with a microwave, induction cooker, refrigerator and kitchenware. The private bathroom includes a rain shower, a hairdryer and Bamford London toiletries. Guests can request for luggage storage. Guests can explore the surrounding area for a variety of shopping and dining options. When would you like to stay at Ann Siang House? This air-conditioned room is fitted with a flat-screen Smart TV, a Tivoli Bluetooth speaker and a complimentary mini-bar. It has a kitchenette equipped with a microwave, induction cooker, refrigerator and kitchenware. The private bathroom includes a rain shower, a hairdryer and Bamford London toiletries. A coffeemaker is available. This suite has a balcony, flat-screen TV and dining area. This spacious air-conditioned executive room is fitted with a flat-screen Smart TV, a Tivoli Bluetooth speaker and a complimentary mini-bar. It has a kitchenette equipped with a microwave, induction cooker, refrigerator and kitchenware. The private bathroom includes a bathtub, shower facilities, a hairdryer and Bamford London toiletries. A coffeemaker is available and ironing facilities are provided. This double room has a seating area, iPod dock and mini-bar. This studio features a electric kettle, air conditioning and flat-screen TV. This studio has a seating area, dining area and satellite TV. House Rules Ann Siang House takes special requests – add in the next step! Ann Siang House accepts these cards and reserves the right to temporarily hold an amount prior to arrival. Breakfast selection limited, but high standard of food. We were on a one night long haul flight layover and found the noise from the nearby in-house terrace bar a little intrusive but not excessively so. In other circumstances we would have made use of the bar or the other one on the roof. Room was noisy from other guests movements.... little to no street noise. Just the breakfast must improve cos not so much choice. Breakfast was a bit spare. The breakfast spread could’ve been bigger although to be fair the items that were there were of good quality. The hotel’s vibe was really comfy yet cool. The hotel bar had excellent service and drinks.